Rev. Bro. Thomas More started the Montfort Centre for Education in 1995. It was the dream of Rev. Bro. Thomas More to have an integrated and inclusive education centre to cater to the educational and vocational needs of children with disabilities in Garo Hills. In February 1996 the School for the Blind and Deaf was shifted from Marian Centre to Montfort Centre for Education. Rev. Bro. John Baptist, a pioneer in the education of the Blind assisted Bro. Thomas More to set up the centre. Rt. Rev. 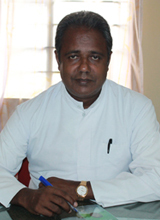 George Mamallassery DD, Bishop of Tura was a great support during the initial stages of the project. On 29th September, on his way to Rabhagre for the inauguration of a school, Rev. Bro. Thomas More met with an accident at Kamari village near Tikrikkilla about 100 Kms away from Tura. He continues to bless and protect the centre from all dangers. 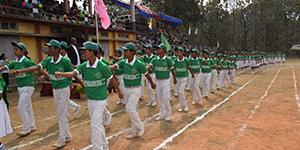 The Montfortian organization caters to the various educational needs of children and of the youth. apart from the normal academic schools (Regular School) it also imparts Technical education, Education for the Hearing Impaired, Visually Impaired, Physically and Mentally Challenged. It engages in village and slum uplift and social work especially among the downtrodden and the marginalized. Montfortian education seeks to work for the total development of the young. 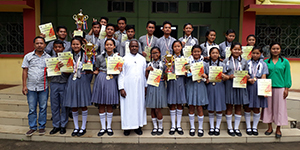 They are helped to discover their God given talents and work towards their fullest development in order to place them at the service of the society. It seeks to enable the young to search for the truth by training them to analyze reality, form critical judgments, search for solutions and work out a synthesis.